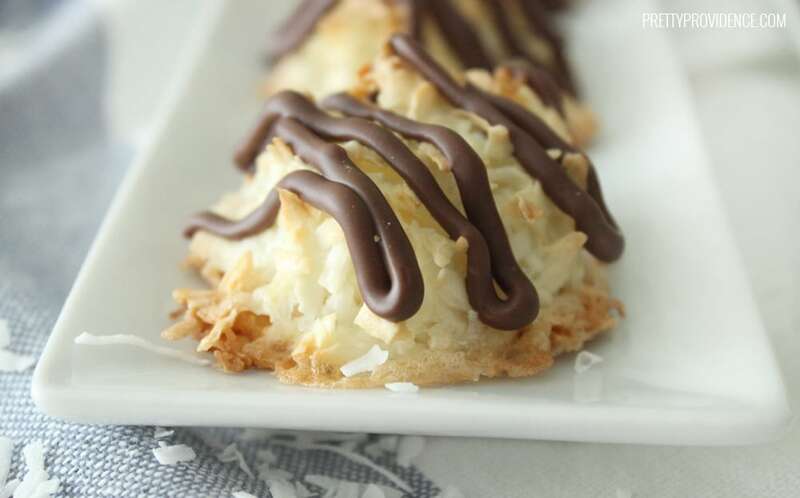 These chocolate coconut macaroon cookies are quick, easy to make, and so delicious! Have you ever had chocolate coconut macaroons before?! If not you are in for a treat! If you aren’t a big fan of coconut, these most likely won’t be your thing. 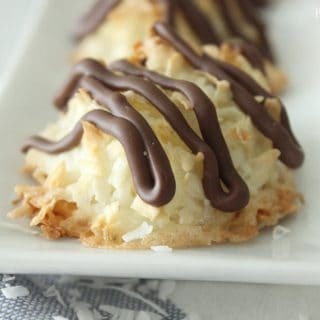 However, if you love coconut then you are bound to love these macaroon cookies! My favorite thing about this particular easy coconut macaroon recipe is that it literally takes about 15 minutes start to finish to have a fun and delicious little treat! 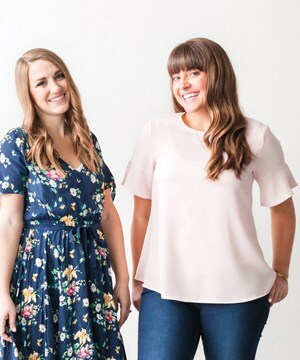 As a bonus, they seem fancy to people who’ve never made them before and they are sure to impress at baby showers or family get togethers! One quick thing to note, in a recipe with this few ingredients it is important that the ingredients you do use are good quality! Basically what this means is that this is not the time to buy budget brand chocolate chips and coconut. If you are ever going to splurge on the higher quality stuff you will be glad you did when you make these little morsels! Okay, you ready for the super easy recipe?! 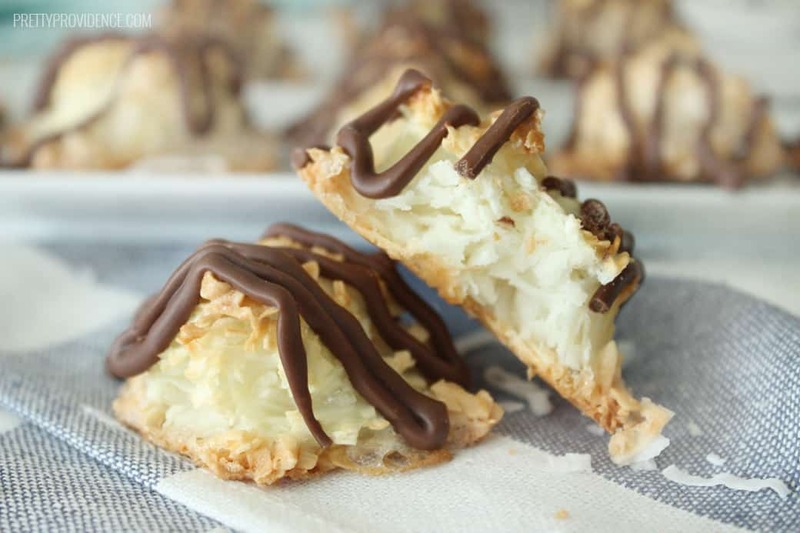 These chocolate coconut macaroons are quick, easy to make, and so delicious! Preheat oven to 350 degrees. In a medium sized bowl or bosch mixer, add coconut, egg whites and coconut extract and mix until combined. Gradually add in powdered sugar. Form your mixture into small balls, I like to use a small cookie scooper, and place them on a parchment paper lined cookie sheet. Bake for 12-15 minutes or until golden brown on the outside. While cookies are cooling melt your chocolate. Add melted chocolate into a small zip lock bag and snip off the corner to drizzle over cooled cookies. Enjoy! 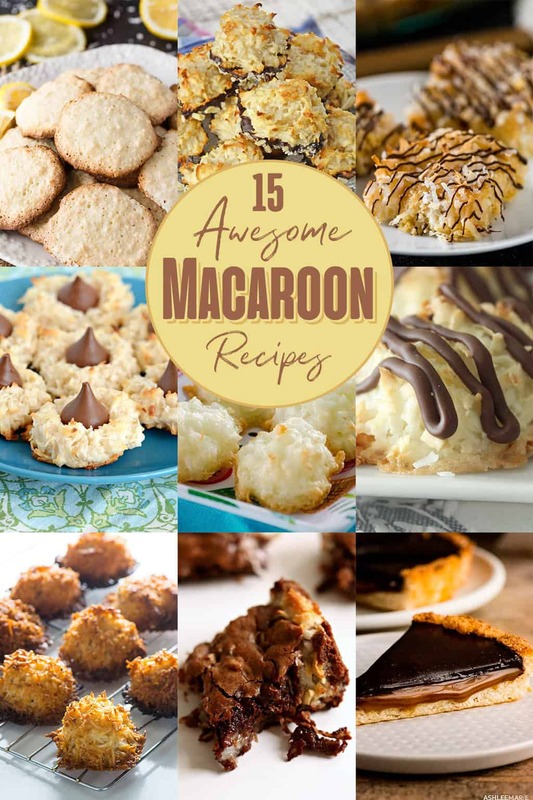 Don’t forget to pin these macaroon cookies for later! 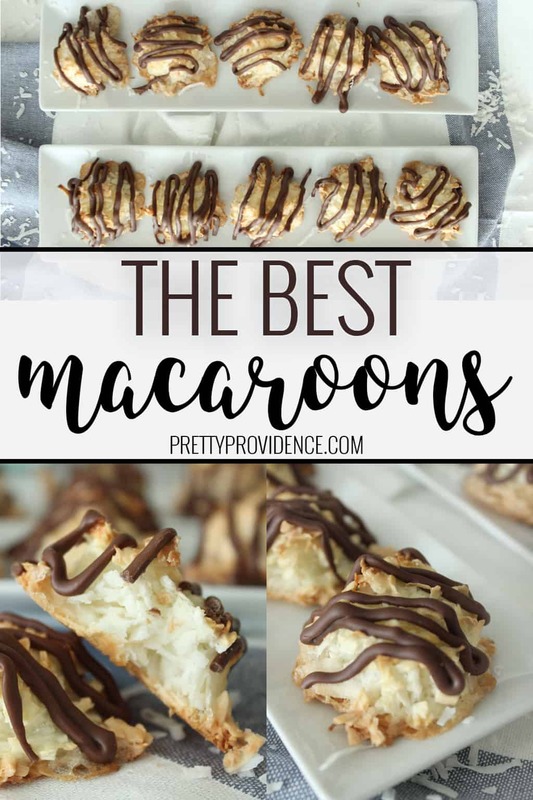 Also, if you love macaroons as much as I do, be sure to check out these other fun macaroon recipes from some of my friends! So many good ones! The hardest part is choosing which recipe to make first! I love how easy these are to make! right? that’s the best part!